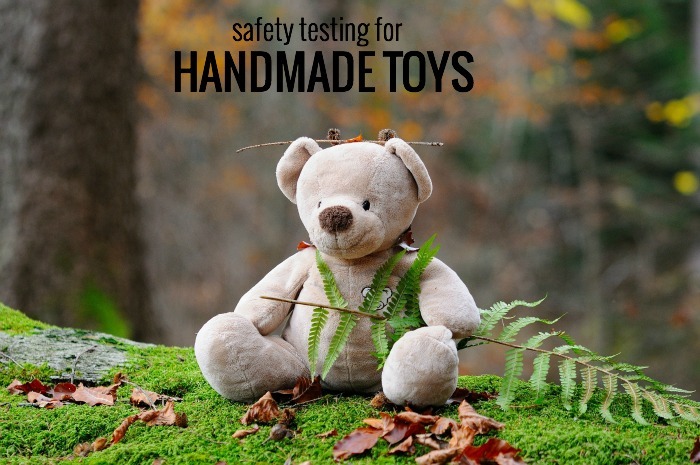 January 7, 2016 UPDATE: Neal Cohen, the Ombudsman for the Consumer Product Safety Commission, got in touch with me this week to tell me about a brand new tool created to help small those of us who make toys and other handmade products figure out exactly what kind of safety testing we’ll need before taking products to market. The tool is called Regulatory Robot. I’ve given it a try and I highly recommend it! At the end of the survey you’ll get a report with the specific types of testing you’ll need to go through. “I make teddy bears and sell them in my Etsy shop. I probably earn a few hundred dollars a year right now, but I’m hoping to grow my business over time. I sew my bears from fleece, stuff them with polyfill, and use plastic safety eyes. Does this scenario sound familiar to you? Safety is a big concern for those of us who make things for children. I’ve woken up in the middle of the night worrying that a seam on the bear I just sold might not have been strong enough, or trying to remember if I tied a double knot when I sewed on that button. It’s scary! Equally scary is the possibility of a lawsuit that could shut down your business and put your livelihood in danger. And what about the U.S. government? Could they come after you, and fine you, if someone reports that your toy is dangerous? Perhaps you’ve added some wording about safety on your tags or online listings such as, “This toy is not intended for children under age 3,” but wondered if that was enough. Does adding that language really hold any power to protect you and your business? So which is it? Are safety eyes safe or aren’t they? Is it that the eyes can be removed and swallowed, or is it that the eyes might contain lead or other harmful chemicals? Many sellers don’t mention safety concerns at all, even though they’re using those same materials. One thing’s for sure: there doesn’t seem to be a unified language or behavior around safety standards among handmade softie makers in the United States. Yesterday I spoke with Neal Cohen, the Small Business Ombudsman at the Consumer Product Safety Commission to learn more about what’s actually required of small handmade businesses when it comes to toy safety in the United States. We would have recorded our conversation as a podcast, but when you work for the federal government getting on a recorded line becomes tricky. Neal was incredibly nice, and very patient with my questions, but after an hour it became clear to me why there’s so much confusion when it comes to toy safety: the standards are hugely complex. There’s no simple 1-2-3 that you can go through to determine the types of testing your toys might need, or to choose a testing lab. There’s no perfect set of phrases to add to your labels or tags that will properly warn customers and protect you as a maker. What is Actually Required by Law? In 2008 Congress passed the Consumer Product Safety Improvement Act (CPSIA) which states that all manufacturers must pay a qualified lab to test and certify any product intended for children and that every product needs to be labeled in case of a recall. There is no exception based on the size of the operation. You must go through testing even if you’re making just one teddy bear to sell, or donating your softies to charity. The testing is done by for-profit companies that have been approved by the Consumer Product Safety Commission and the tests involve two parts: a chemical test for lead and other heavy metals and a physical/mechanical test for the strength of the components. All testing has to be outsourced. You cannot legally test at home. One bit of good news. Fabrics and polyfill are exempt from lead testing in the U.S., unless the fabric has been screen printed. This means you don’t have to go through that test if you’re making things from fabric. But safety eyes, plastic noses, doll joints, and polybeads used for stuffing all have to be tested. And if you use safety eyes in different colors, every color has to be tested separately. Supplies that have already been tested and certified by the manufacturer will suffice if you can get a copy of the certificate. If you buy your supplies from a big box craft supply store, though, you may not be able to get the certificates. According to Neal, those stores are selling a component part, not toys intended for children, and aren’t obligated to show you anything. So, the short version of the story is unless you’re sending your toys out for testing and getting certificates of safety for every material used, you are in violation of the law. Let’s be honest for a minute now. You’re not doing that, and neither am I. The truth is everyone is breaking the law. Do we shut down our businesses now? This information can make you feel paralyzed. I’m imagining you, like me, are pretty used to being a law-abiding citizen. So how do we go forward? And what happens to the 49,670 items on Etsy that are currently in violation of the law? Maybe you should label all your toys as sculptures intended for people 18 and older. Neal says no. Overall, the government deems all plush as toys. That being said, every product is looked at holistically. Exceptions would be made for toys with a clear adult theme, or plush set at a very high price point. If your plush is indeed intended for adults, though, don’t show it in photos with kids or in a child’s room. That kind of marketing is misleading and will work against you. 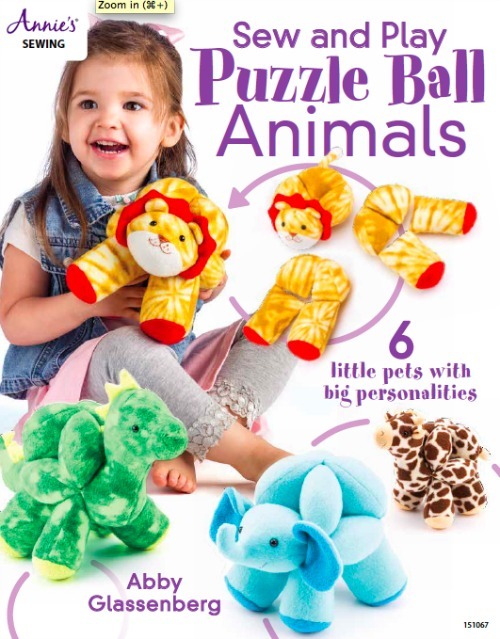 What about sewing patterns for children’s items? A sewing pattern is not a children’s product and is therefore not subjected to these standards. If someone buys your pattern, sews a toy and gives it to a baby who gets hurt, you’re not on the hook for that. 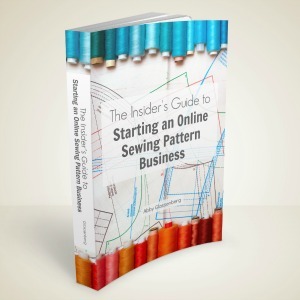 All the more reason to get into the pattern business! 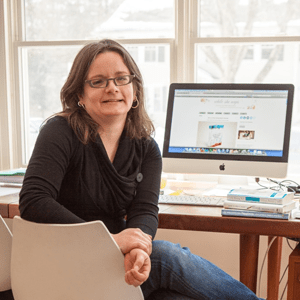 But what if you’ve built your business around selling handmade products for children? Neal is an ombudsman and as such is very diplomatic. He can only say so much. But from him I learned two basic things. First, it’s important to make the distinction between compliance and safety. Safety means sewing a toy with lead-free fabric, stuffing it with polyfil, and embroidering the facial features so they won’t come off. Avoid plastic parts. It’s easy to make safe toys. Compliance is much more difficult. Second, the Consumer Product Safety Commission has 520 employees. This is not the Food and Drug Administration with 20,000+ employees. The sheer number of handmade toys on the market far outweighs the manpower available to enforce the law. Neal didn’t say that, but I am. with companies that make all kinds of products from jewelry to pet products, ceramics, fashion accessories, toys and apparel. She is a self-described CPSIA geek. April was able to tell me what Neal couldn’t. To me that’s totally sound advice that we can all act on today, for free, to improve the level of safety of our children’s products, and even bring us a few steps closer to compliance. I’ll let you draw your own conclusions about safety standards and compliance, but if you’d like to learn more I recommend starting with the Consumer Product Safety Commission. Neal’s Small Business Ombudsman website is a nice introduction to learning about testing. You can find Neal’s email there and connect with him on Twitter, too. Just a note regarding posts on this blog in general, and this post in particular: I am not an attorney and nothing on this blog is to be treated as legal or compliance advice. You should consult an appropriately licensed legal advisor regarding any questions or concerns you may have related to your own business. If you’ve considered having your products tested, or if you have questions about the law, please feel free to ask them here. I’ll forward any questions to Neal or April that I can’t answer myself. And if you’d like like to express an opinion about testing for handmade children’s products, go ahead! Let’s talk about safety. Good information. Thanks. I bought poly beads thinking to make a series of sensory toys, and have some out for testing. But I also just made a bean bag baby for a family member and even though the child is three there is a younger family member and I am already worrying about it. So I know I will not be using this in my shop. I asked you before about safety eyes for little ones, and I likewise will not be using those. Softies for me are an add on, a cute extra and not worth the worry. I’m glad that you posted this, Abby. 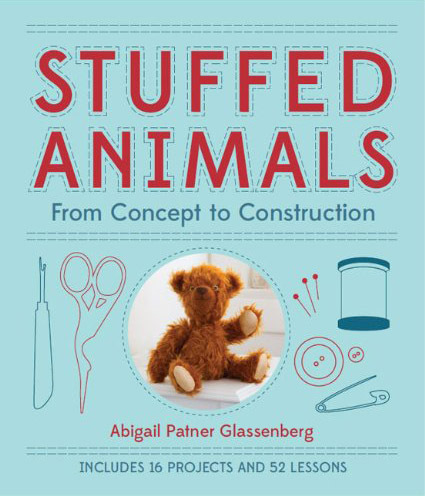 I was going to spend the next month using the wonderful felt that I’ve collected making adaptations of the wonderful stuffed animals from the pattern in Sew-It. My plan was to donate the toys as a holiday gift to the local home for battered women and children. Even though I embroider all the features and thus use only felt, fiberfill and DMC cotton, I believe I will skip this project and maybe even donate the toy and dollmaking books and patterns on my shelves to a library that will accept them and will concentrate on other media. It’s a shame that some of our laws are so far-reaching and ironic that only conscientious craftsmen will pay attention to them. The information that you’ve shared on this subject is disappointing, but I’m over doing things that bring me stress and worry, and I’m very grateful for the work and research you’ve put into this post. Gasp! 🙂 Not everyone is breaking the law! If you want to sell your products to shops or a legally running business, you must go the extra mile to become a legally running business yourself. If you’re not compliant the shop cannot carry your softies. Personal side note: my business has gone through all the steps and we did not have a terrible time of it. The Handmade Toy Alliance was a wonderful resource for us. Thanks for bringing up this important subject so people can discuss it and even know it exists! That’s all very well for a US seller selling within the US on Etsy, but what happens, for example, if someone in Europe (with different safety laws) buys from a US seller, or vice versa? Whose safety standards do they have to comply with – the country of origin, or the country it’s going to? I should say: use your common sense and don’t stress too much. A plastic eye is not the only thing in the house a child can choke on. You cannot remove all perils. I really don’t know why so much fuss is made of toys and so little of other things. What about the million soaps and candles scented like food for sale on Etsy and everywhere else? An intrepid infant will try to eat those, but nobody seems to worry about it. The laws were certainly made with mass-produced and mainly finished imported goods in mind. I remember the big scare in 2008 when all toymakers went crazy with worry until they found out the fabrics were already tested before they hit the US market. It became a big non-issue as soon as they realized they weren’t being hunted and shut down. What disturbs me the most, however, is that while testing is mainly for lead and pthalates, poly fiberfill is STILL considered infant and child safe when it is composed of pthalates: polyethylene terepthalate. It is in the registry of the US Toxic Substances Control Act, and while many many tests have shown it to be inert for respiratory distress, the same abstracts state respiratory protection is required when manufacturing and working with poly fibers including poly fiberfill. In manufacturing polyfill, three known carcinogens are produced in excess of occupational safety limits. Even if the final product can be considered ‘safe’, its production pollutes water and air big time and compromises the health of workers who make it. It is flammable, can continue burning when the flame is put out, and the smoke from burning polyfill is highly toxic. Polyfill is not naturally antibacterial and is treated like other fibers mainly with Triclosan and nano silver colloids which create a great deal of polluted waste water. We’re being fed a load of garbage to be told poly fiberfill is a safe alternative to natural stuffing such as cotton, kapok, wool, and buckwheat. It may be considered acceptably inert by the time baby shoves it in his mouth, but making the stuff will always be a petrochemical polluting poisonous nightmare. Katy- the easy answer is BOTH. But ultimately, a producer has to comply with the regs of the country that the item will be going to. It’s great to see this issue being discussed – so few people seem to realise that safety laws apply to small handmade sellers as well as the big businesses. In response to Katy, my understanding was that toys need to comply with the safety rules in the country of origin, but I can’t find any reference to back this up. Does anyone else have a reference? Thank you so much for this post! I started my child safety product investigation by looking at the CPSIA website – then got frustrated by the amount of information and contacted a testing facility for information. Boy was that a wrong move. They gave me a quote of over $1,000 to test handmade bibs made of cotton, fleece and a plastic snap. I found this post, did some more research and eventually called Neil Cohen (I couldn’t believe he actually picked up the phone – figured I’d get an operator). He was extremely helpful and (very diplomatically) informed me that the testing facility would have had me do a whole bunch of unnecessary tests. Also, he recommended looking for CPSIA certified materials, especially if you are going to use anything that is not a natural fiber in your products (i’m looking for zippers and plastic snaps). However, you still have to make sure that you get the certificate of testing – not just an “assurance” that the items have met the guidelines. I’d suggest doing research and then if you have questions calling or emailing Neil. He was very helpful and seems to be a great advocate for small, handmade businesses! Neil is a gem. He spoke with me for over an hour for this post. I think this advice is very prudent. Best of luck with your investigation and with your business! Is there a need then to have liability insurance for those six items I might sell every month? If there is even a slight chance something might go wrong and a kid eats a painted part from a toy, the parents may file suit. Here in Europe I have been making home-made models from recycled materials such as cardboard and wood offcuts for about thirty-five years, a hobby developed in Africa where there were few toys available. Over this time these items were enjoyed by many generations and cost hardly anything. Obviously I made them as safe as possible because I didn’t want to kill my own children, grandchildren and their friends. Apart from the pleasure of creativity, all I wanted to do was make a few children happy. Occasionally I made the odd fiver selling things at craft fairs. Because of the new toy safety laws I have now had to give up. For anybody considering making anything for children under fourteen I would say don’t even think about it. Even if you can afford the necessary testing and can comply with all the other requirements (which I cannot since my toys are all one-offs and I have no idea who makes the raw materials), it is not worth the hassle. Sad, I know, but there it is. Needless to say my grandchildren are mortified. Thank you so much for this information! We have been designing toy ideas to start selling and then a few weeks ago I stumbled upon the toy safety testing regulations. We had no idea! I’ve been researching this, including reading the cpsc website and every time I’m left with more questions, until now! The information here is pretty straight forward, thank you again.! You’re so welcome. And you can always contact Neal by phone or email. He is a wonderful and very realistic resource. Do you have an email address I can email with just questions? Sure thing. It’s abbyglassenberg (at) comcast (dot) net. Thanks! That’s a great question. You might reach out to Neal directly. He’s very responsive and can give you some professional advice. re there are testing requirements regarding stitch strength that I would have to follow to make stuffed toys? Hi Mariah, It depends which country you live in. If you live in the US I would recommend reaching out to Neal directly. He can tell you what exactly is required. Such a well-written article! Thank you! This is really helpful! I make wet felted stuffed toys and have recently become aware of labeling requirements and safety testing. I’m trying to untangle the information I’m reading. I’ve started the registration process with CPSC and I’m emailing with the Etsy team trying to understand how to comply without digging too deep a hole. Beverly who’s leading the team now sent me to the FTC site for information on wool labeling. It states that toys are not covered so I think that means I’m not required to label that, correct? See also smentioned that it’s necessary to register with PA, OH and MA as well. I don’t use any plastic eyes or moving parts so I don’t think I need third party testing but I wonder about the nap of the felt if a child puts it in her mouth. I’m finding all this information overwhelming and confusing and not sure who or what to follow. I have a question for you…We are looking to create and purchase toys to sale specifically that would be used by children in the 0-3 range. In looking, we have found that this is a very strict range when it comes to regulations. Any advice when creating toys for this age grouping? Is a warning label enough, such as “Caution small parts could cause choking”. We have been SO surprise when looking at toys and seeing 3+ stickers on almost everything, even with no small parts. We have noticed that items, such as toy wooden cars, are labeled as 3+ because they have the “potential” to have small parts if broken? This has been discouraging because it seems like anything we make, even if it is not made to be able to be choked on, it can always have potential if broken. Is there anyway around this? We saw a large ball the size of a baseball that had a choking warning on it because it has something inside it that if broken open might be checkable. We really want to market to 0-3, but definitely need some advice. I’m not an expert on this. I advise you to contact the consumer product safety commission to learn how to get your product certified as safe for very young children. another question…..we are designing dollhouses and looking at the size of the people and furniture to go with it. Is there a minimal size which is considered too small or “chokable” for young children. Worried about swallowing size for dolls? any idea where to find this info. You’d have to contact the Consumer Product Safety Commission directly. Hi! I have been making Entitiez for about a year, which are one-of-a-kind, weighted stuffies with handsewn, recycled, and upcycled embelllishments. These are intended for use only by adults, although they look childlike…My question is this: if my Entitiez are going to be perceived by the Commission as “for children” because they look like they are for children, then what is the point of making them? I have spent hours on the computer, (and no one was by the phone at the Commission) trying to find out what labels I should be putting on my Entitiez. The idea that I have is to create these one of a kind creatures out of felt made from recycled plastic bottles, use fiberfill(also from plastic bottles), used fabric, used buttons and findings, felt roving for hair, hand painted glass eyes(by me) and a weighted bottom. You’d have to see them. I do a lot of hand stitching on them, and it seems that with that and the price, people would not allow children to play with them, regardless. 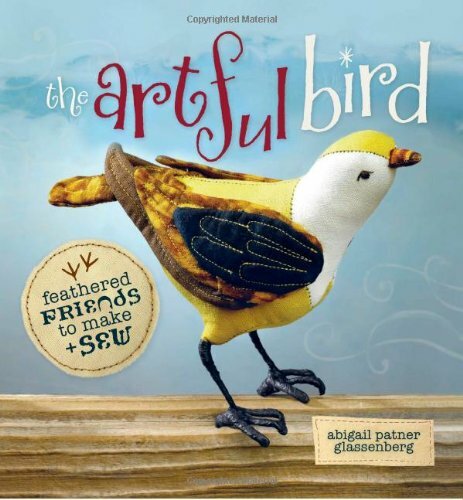 Others that I make are birds of fanciful colors, on a weighted base, with a handsculpted beak and much hand stitching with embroidery thread. They are weighted on the bottom with zinc plated nuts inside the fabric. I’m sorry I’m not in a position to answer this question and Neal has now left the Consume Product Safety Commission. Perhaps they have a new ombudsman? I am wondering if this compliance applies to children’s clothing? I recently learned about the compliance and thought, I wonder what is Abby’s thought in the process. And thankfully you had a post but it was pertaining to toys. Do you know what are the guidelines for children’s clothing? There are definitely compliance regulations for children’s clothing. There’s a Facebook group dedicated to this that I recommend joining. I clicked on the link for The Handmade Toy Alliance and it brought me to a site that’s written in a foreign language. I don’t understand any of the words but the pictures of scantily-clad ladies lead me to believe that the site has nothing to do with toys. Thanks, Greta. This post is over five years old and sadly that URL seems to have changed hands. I’ve edited the post to remove it. I’m making and selling baby teethers. Do you think these count as toys? I’ve seen conflicting posts on what has to be tested. I’ve seen posts that say you don’t have to test if all the materials you use are already labeled as compliant, but I’ve also seen posts that say everything has to be tested. I’ve even seen (on the etsy forums!) that you don’t have to test, as long as you know which tests are required and you try them out at home. So what do we do? Test? not test? I’m so confused and frustrated with all of this!